The growing dependence on technology, combined with the growth of progressively sophisticated hackers and a severe shortage of cybersecurity professionals, have created the perfect storm, putting all digital information at risk. Cybersecurity issues are a threat for companies around the world, with about 9,000 recorded breaches in just a little over a decade. 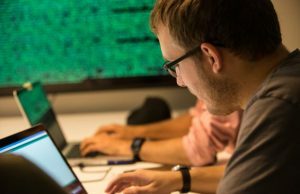 With the cyber risks at an all-time high, FIU is leading the charge in training the professionals to fight the threat. One of the efforts is a recent collaboration between the U.S. Department of Commerce, FIU and New America to host the Annual National Initiative for Cybersecurity Education (NICE) Conference for the next five years. The NICE Conference and Expo brings together cybersecurity workforce developers, federal and state government leaders, education and training providers from around the world to help build the cybersecurity workforce. The Steven J. Green School of International and Public Affairs is working with the Division of Information Technology and others at FIU to organize the conference that will take place in Miami from Nov. 6-7, 2018, and will feature presentations from distinguished cybersecurity experts from academia, government, and industry. The conversation will revolve around new and innovative approaches that will prepare and grow a sustainable workforce for cybersecurity. 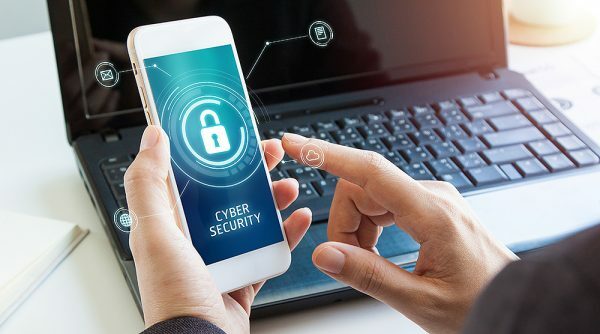 To meet the rising demand for skilled cybersecurity professionals in the U.S., Latin America and the Caribbean, the College of Business collaborated with the Jack D. Gordon Institute for Public Policy to create an executive certificate program in cybersecurity leadership and strategy. To date, the program had trained nearly 150 mid-to-senior level professionals from 18 countries. The university has been at the forefront of cybersecurity for some time, from building firewalls to protect sensitive medical records to researching methods that can help secure smart grids. Now, new programs, degrees and partnerships are helping push the institution to become a hub for cybersecurity research and education. Just within the past few years, the university has brought in well over $15 million in funding from research grants, workforce development programs, and international capacity-building activities. Together, FIU’s schools, colleges and centers are working towards supporting the growth and building the future of cybersecurity, while aligning their efforts to reflect the multi-disciplinary nature of cybersecurity. The shift is characterized by new technical areas of concern— such as medical devices, power systems, connected vehicles and smart houses— along with complex questions about appropriate privacy and trust policies. One of the university’s new initiatives is Cybersecurity@FIU. Recently designated as an Emerging Preeminent Program, it is designed to harness the institution’s research capabilities, while also creating a platform for partnerships across the university. Cybersecurity@FIU will enable the institution to develop a national and international reputation as a solution center dedicated to emerging and crucial cybersecurity concerns. At the top of cybersecurity trends is the College of Engineering and Computing, with faculty pushing the strides in security and privacy research and education. Recently, the college began to offer the first bachelor’s degree in Internet of Things (IoT) in the U.S. The degree addresses the four major areas of IoT – hardware, software, communication and cybersecurity — and is designed to teach students the fundamentals of managing the growing network of smart things. This is why skilled IoT professionals are in high demand. “FIU is training IoT specialist that are prepared to stay ahead of the new waves of technology and to mitigate their downfalls,” says Akkaya. The Green School has also developed core competency training programs where students from all academic disciplines have the opportunities to earn development badges. These learners can complete six Student Development Badges to earn a Certificate in Cybersecurity Fundamentals.